This photo blog presents images I took, while visiting the National Museum of the United States Air Force in Dayton, Ohio, on December 13, 2009. There is so much to see and it is just impossible to take it all in, and to read all the stories and war history shown with the displays. The museum has a great website, in which the exhibits are described in detail, and which I have used together with Wikipedia to read up on some of the things I have seen, and from where I copied and pasted some interesting information to go with the photographs. The blog is for all those who are interested in airplanes, and who can disassociate themselves from the real purpose all this war machinery was built for. Some of the pictures I have turned into HDR images, some others are presented as VR panoramas. Enjoy! The National Museum of the United States Air Force (formerly the United States Air Force Museum) is the official National Museum of the United States Air Force and is located at Wright-Patterson Air Force Base, near Dayton, Ohio. The NMUSAF is the world's largest and oldest military aviation museum. More than 400 aircraft and missiles are on display, most of them indoors. The museum draws over 1.3 million visitors per year and is one of the single most visited tourist attractions in Ohio. Admission is free. 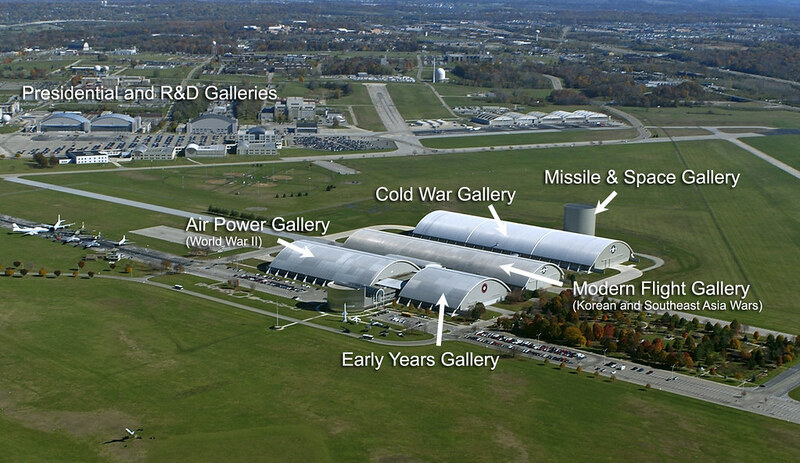 Besides the main museum with Early Years, Air Power, Modern Flight, Cold War, and Missile and Space Galleries, there are also two additional galleries, the Presidential and Research & Development/Flight Test Galleries, located on the active part of Wright-Patterson Air Force Base, and accessible using a shuttle bus service from the main museum complex. While I was there, the Presidential Gallery was closed, and the R&D Gallery I wasn't even aware of it existed. It apparently houses some extraordinary aircraft, like the North American XB-70 Valkyrie, I now don't have images of - sorry. The Museum is currently raising funds for the construction of a fourth hangar gallery to be built behind the current Missile Gallery. The project is expected to cost $40,000,000. When completed it will house all the Museum's research and development aircraft as well as the presidential aircraft, freeing those hangars for use in future restoration projects, as well as the eventual display of the Convair XC-99.